When you need to get your project done ASAP, ATR's FastTrack Services can get you up and running in as little as 4-6 weeks. From project kick-off to end-user deployment, ATR's team of professionals knows what it takes to move quickly so that you get results fast. Our team identifies the project scope and potential problem areas. We work with you to categorize key principals, needs, and expectations, and to create a project execution plan. We evaluate corporate, industry and regulatory guidelines and best practices, approve SmartProcedures configuration and functionality, create Site Implementation plans, and implement progress tracking of changes undertaken during project execution. Collects site data on hardware, software, site operating philosophies, etc. Identifies any additional factors that could influence the installation/upgrade/service. Discusses particular problems/issues that site is experiencing. If applicable, collection of database from client, with a careful examination and evaluation of database status and running of database migration scripts. Evaluation and verification of client test environment. Benchmark of software in client test environment. ATR’s XML conversion experts transform your word processor documents to SmartProcedures. 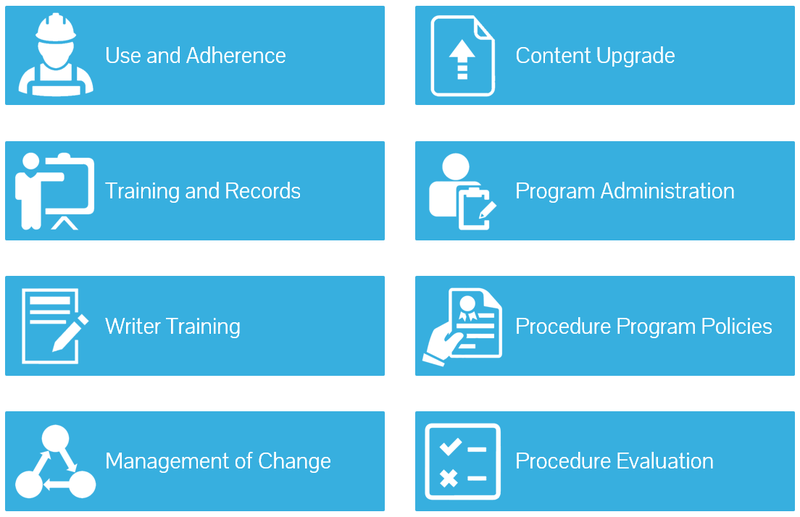 SmartProcedures contain structured information that includes procedure text, step text, and metadata (additional information) about each step in the procedure. Because metadata is typically not included in word-processed documents, this value-added information must be added to your procedures when they are enhanced for use with SmartProcedures. Storing XML-based information in a relational database for secure management and distribution, SmartProcedures provide a number of advantages over word-processed procedure files. Our conversion team uses sophisticated XML import engines and transformation utilities. We take your original source documents and parse through them using automated filters to identify discrete procedure steps. The resulting information is converted to structured data and stored in a mission-critical database. For a production installation, we manage your configuration, run database migration scripts, and verify the integrity of the client production environment. We benchmark and verify your installation, and provide appropriate software documentation. We discuss any user/training related issues and develop a training plan to address any defined issues. We highly suggest you implement PRiSM product administration training as appropriate, led by our trained and certified staff. Also, we can provide PRiSM product documentation.